This little doe is just adorable! Pebbles had a beautiful rump, and a nice top line and escutcheon. (the pictures do not do her justice!) She has a beautiful dark buckskin color and some specks of white. She just has the greatest personality! 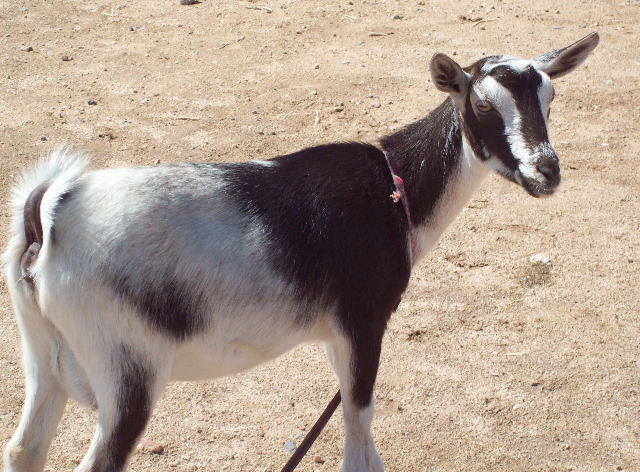 Pebbles is a people goat, and just has to be with you. I’m really pleased with her udder! She has very nice feet and legs. Pebbles is just a great little doe! Pebbles tested CAE negative June 2013! Pebbles is due to kid January 2018! FOR SALE!! Thanks, Alyssa at Red Lotus for selling Pebbles to me! Look for updates on Pebbles! Pebbles is registered with AGS and ADGA. AZ State Fair October 2013 – 2nd place, almost Reserve Junior Grand Champion! Memorial Weekend Goat Show 2015 – 4th place! Honey Bun is a beautiful little doe! She has a wonderful top line and escutcheon. I am very pleased with her udder! I hope to get her on a milk test some day. Honey Bun has the sweetest personality, I just love her! SOLD! 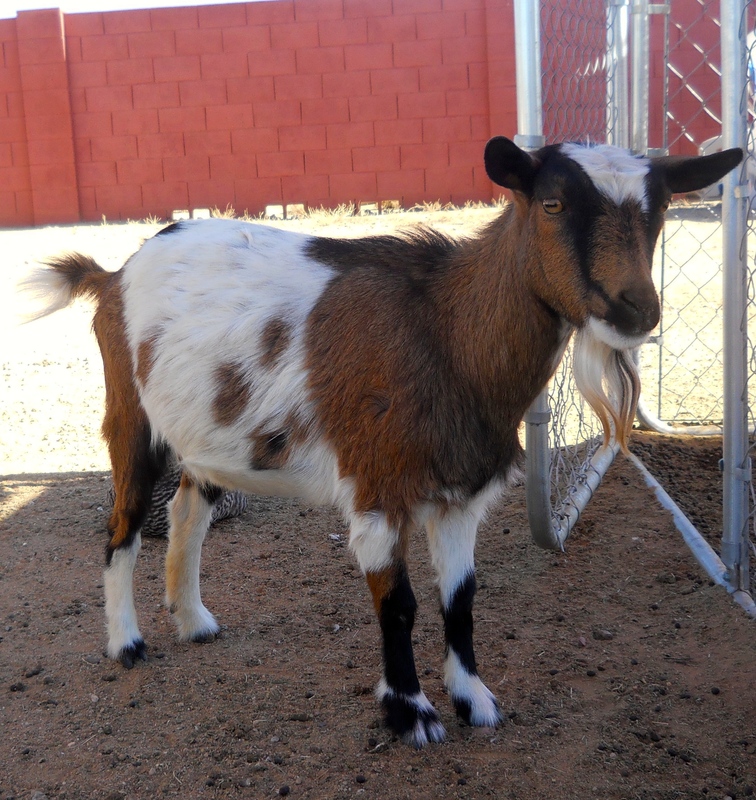 Memorial Weekend Goat Show May 2014 – 4th place out of 10! Lilly is a sweet little doe, and loves to talk. She has an elegant neck and strong feet and legs. Lilly is an over all great doe! Lilly tested CAE negative June 2013! SOLD! Lilly kidded on February 9th, 2016 with a FLASHY buckling! Lilly is registered with AGS and ADGA. I pronounce T’Pau like teapot, but without the last T.
This is one beautiful doe! T’Pau’s lovely confirmation includes very nice dairy skin, long teats, a very nice mammary system and a lovely long neck. T’Pau stands on nice legs. T’Pau tested CAE negative November 2013! SOLD! T’Pau kidded on February 5th, 2016 with an beautiful set of twins! More info here! Thanks, Alyssa at Red Lotus for selling T’Pau to me! Look for updates on T’Pau! T’Pau is registered with AGS, ADGA and NDGA. Casa Grande Memorial Weekend Show 2013 – 3rd place! AZ State Fair October 2013 – 1st place, almost Grand Champion! Casa Grande Memorial Weekend Show 2014 – 4th place! Memorial Weekend Show 2015 – 3rd place!